(Natural News) As people on the planet become sensitive to the everyday occurrences of calamities and accidents that transpire around the world, there is an urgent need to gain information on how to be able to survive such disasters. Of course, in a high-crisis situation, there will always be those who are more exposed and more vulnerable than others. The Centers for Disease Control and Prevention (CDC) are of the opinion that senior citizens are those that are more at risk when disaster strikes. 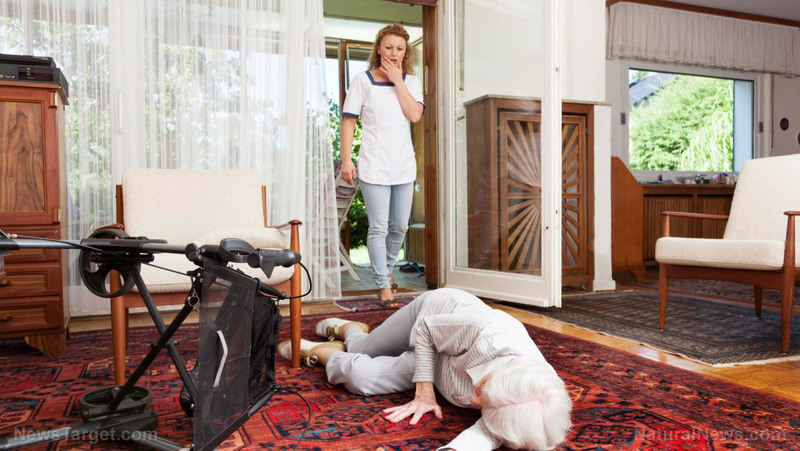 There are many reasons why the elderly can receive the brunt of hurt during a crisis situation. Among these is the fact that a lot of older people have physical limitations which would hinder them from fast mobility and mental impairments that may prevent them from making good judgment calls in times of crisis. Furthermore, elderly people are more likely to contract illnesses when exposed to extreme temperature changes and stress during calamities. There is also the factor of having social (not much friends to call to for help) and economic (not much money to go around) limitations to consider when saying that the elderly is the most vulnerable people among the age groups. The elderly need to install fire alarms in their houses in anticipation of any future emergency situation. Home security and emergency wireless response systems are also good for older adults to keep themselves safe and warm should there be a power failure during a storm or a blizzard. It is also prudent to prepare for your elderly loved one a basic disaster supplies kit, which should include medicine, food, water, and other items of importance during a calamity. According to the American Red Cross, a basic disaster supplies kit should have enough supplies for at least three days. The supplies should be stored in convenient containers – not too big so as not to make them too heavy for people who would be lugging them around during an emergency, and not too small as to not be able to contain all the essential items. You should also update the contents of your basic disaster supplies kit: check to see if the food has already spoiled or if the medicines there are already past their expiration dates. Replenish your supply of batteries as well. To increase your chances of survival, make sure that you keep your lines of communication open. You should do the same for your elderly loved ones. You need to know all the proper emergency numbers and the numbers of the people who you can turn to should you find yourself needing help. At the same time, those people who care about you should be able to reach you all the time. This is of the essence so that they can know that you’re safe. It might also help if you can tell a trusted friend or family member details on how to personally guarantee your safety, such as giving them duplicates to your keys or telling them where your emergency money is stored, etc. You should also have an awareness of the possible dangers that come with your area. Are you near a fault line, guaranteeing much heavier tremors and aftershocks during an earthquake? Is your area flood-prone? Do tornadoes regularly visit your town? Remember, surviving a disaster situation takes not merely luck, but preparation, quick wit, and the help of your fellow man. Having alertness and staying focused can go a long way towards clearing your mind, staying one step ahead of the problem, and finally overcoming a seemingly impossible task to solve an issue. For more stories on what to do when disaster strikes, visit Preparedness.news.